Magic Kingdom’s “People Mover” is the cause of two personal injury lawsuits that have been filed against Disney World. According to one couple, their cart came to an abrupt stop and they were struck from behind by another cart. Another plaintiff is alleging the same thing. Her cart came to a stop and collided with other carts on the track. The plaintiffs suffered substantial injuries from the malfunction. According to one attorney, his client required orthopedic surgeries that cost more than $175,000. The other plaintiff claims that she was permanently injured by the ride malfunction. While the People Mover is considered one of the least dangerous attractions at Disney World, it has been responsible for a surprising number of severe injuries. Both plaintiffs are seeking damages in excess of $15,000 and will likely file for damages related to a loss of quality of life. 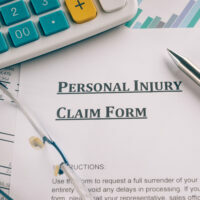 As the legislature seeks to cap the amount of non-economic damages an injured plaintiff can recover in a personal injury lawsuit, it’s important to consider what those damages are and why they’re important to an injured party. When someone suffers a life-altering debilitating injury, they have to make serious changes to their lifestyle. Those who enjoyed sports, jogging, or other physical activities run a very good risk of no longer being able to enjoy those things. In cases where the injuries cause lifelong impairments, those activities that folks once enjoyed are gone forever. In other words, these damages are meant to compensate people for the reduction of their quality of life. While some feel that corporations and large businesses are paying too much money out in injury claims, it’s never going to be enough for those who will have to spend the rest of their lives in wheelchairs or without being able to compete in bowling leagues, tennis tournaments, of weekend softball leagues. By contrast, what is your favorite leisure activity? People enjoy reading, watching Netflix, going out with their friends, and a myriad of other things. Now, what would your life be like if you were never again capable of enjoying that activity for the rest of your life? The reason why the Florida Supreme Court struck down damage caps in the first place is that they violated the equal protection clause which can be found in the Fourteenth Amendment of the U.S. Constitution. It essentially guarantees all citizens equal protection under the law and equal access to the law. The Florida Supreme Court ruled that by capping damages in medical malpractice lawsuits, the law was denying remediation to those with catastrophic or life-altering injuries. It is conceivable, however, that a conservative majority on the Florida Supreme Court won’t see it that way regardless of the fact that certain losses are greater than others. If you’ve been injured by a proprietor’s negligence, you can recover damages for your injuries. Talk to the Miami personal injury attorneys at the office of Alan Goldfarb P.A. and we can discuss your options.